Looking for a VR Headset but confused about which one to buy? This article gives a list of personally tested and verified VR Headsets which fits in your budget. These include some of the cheap and the best quality VR Headsets from around the globe to help you with your purchase. Looking for a VR Headset but confused about which one to buy. Here we have the list of personally tested and verified VR Headset which fits in your budget. We have picked some of the cheap and the best quality VR Headset from around the globe to help you with your purchase. Before you move on to the list of VR Headsets first try to understand what are you looking for in your Headset. For what purpose you are buying VR Headset? Do you want it to watch movies and 3D videos or want to play some high-end games? When I bought my first VR headset I was also very confused because I had a limited budget and there were so many options available online. So, I was not sure which one should I buy. I was also in great confusion and worry whether I would get quality product for my money or I will have to feel like cheated. It's a common problem which every buyer face, you would be worry about getting low quality product for your hard earned money. You need not worry, here I am to help you with your problem. I have done a hell lot of research on VR Headsets, so, you can be assured of the quality of product. As you have landed here it means that you been looking and searching for best VR Headsets for the best experience that you can get. You have been very cautious about spending your money. Well, you must be, even I was. You have a budget and you want to get best out of it. You would like to check the qualities that makes a VR Box or Headset a best buy. 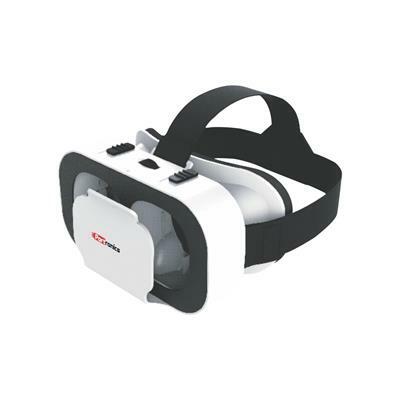 This Saga Mini VR Box of Portronics comes with a HD optical 8 layer nano coated resin lens which ensures a long use without eye fatigue and dizziness. It gives an immersive VR experience while watching 3D movies and 360 degree videos. It comes with a T-shaped adjustable headband which fits easily around the eyes giving you extra comfort because of foam cushioning at the edge. This VR can be used with smartphones having screen size ranging between 4.6" to 6". It works well with both Android and IOS smartphone. For first time viewer who do not wish to put in a lot of money, this headset can be a better option. This headset is best for those who own a smartphone having screen size less than 4.5" because most of the VR Box in the market are suitable for smartphone having a minimum screen size of 4.5". But this VR Box can be used with smartphones having screen size ranging between 3.5" to 6". It comes with 43 mm bigger and clear HD optical lens with a better FOV. The best part about this VR headset is that it comes with a Bluetooth remote controller which enhances your VR experience. It has also a T-shaped adjustable head strap which causes less stress on your nose and eye area. It supports both Android and IOS smartphone. You can enjoy 3D movies and videos, play games and watch 360 degree videos as well. 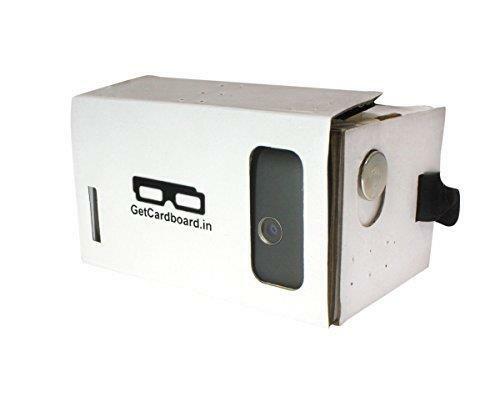 Generic VR Box comes with ABS HD optical spherical resin lens which causes less strain on eyes. Having a T-shaped adjustable head strap, it can be used by a child, young and old persons as well. It has adjustable interpupilary distance and focal length and hence it is suitable for persons having myopia or other eye problem. It also comes with a Bluetooth remote controller which can be used with both Android and IOS smartphone. It can easily accommodate smartphones with a screen size of 4.7" to 6". This VR kit is inspired by the popular Google Cardboard VR headset. It is also made out of cardboard so it is very light weight. Just weighing around 120 gram only it can be easily used for long hour without causing any stress on nose and eye area. This kit is very popular among users who want to get their hand on VR for the first time because it just costs around Rs. 200. So, if you have never experienced VR before and want to experience it for first time then this DIY Kit can be the best choice for you. Note that price of the below listed headsets is between 500 to 1000 INR. 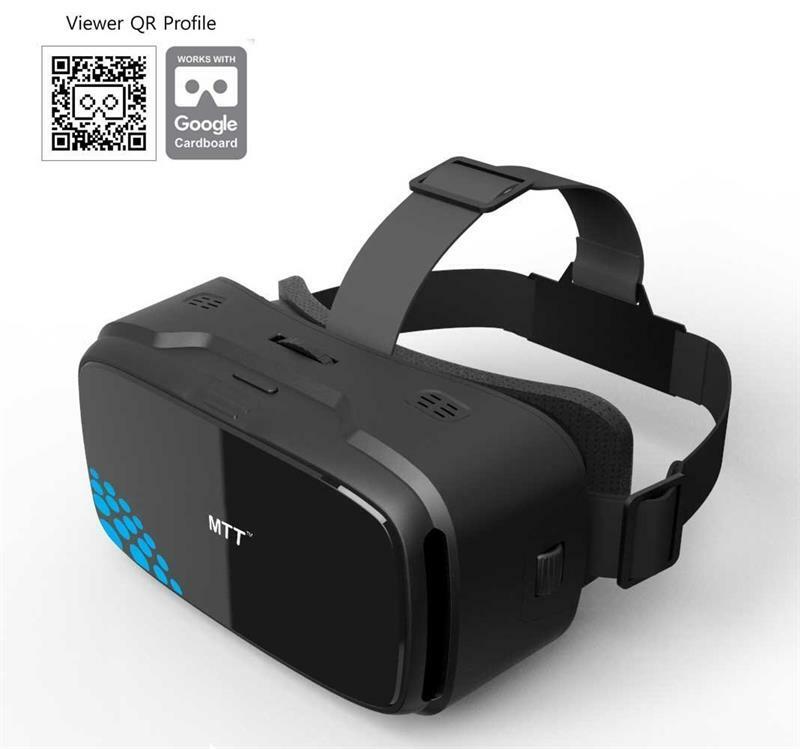 MTT 3D VR Headset is known for its excellent design and quality. With some innovative design and better lens quality that delivers excellent visual output, it is one of the best budget VR Headset available in the marketn. MTT Headset comes with vacuum ion plated lens which prevents electromagnetic radiation thus protect your eyes. Also these are Nano coated resin lens which prevents eye fatigue and deformity in long use. With bigger and clear lenses it gives an immersive experience to its user. It supports both android and IOS based smartphone with screen size between 3.5" to 6". It has adjustable head band and even a person with a myopic eye can easily use with glasses wearing. It has ultra soft cushion that fits and cover your eye area, preventing outer light from coming in and provides an immersive experience. You can also adjust focal length and interpupillary distance and fit it according to your comfort level. AuraVR is made in India product which has gained a lot of popularity among customers because of their quality and low price. AuroVR comes with 42mm adjustable resin lenses along with a magnetic clicker. This magnetic clicker can be used for navigation in your phone while it is in your headset case. The best part about this VR is that it is very light weight and can be used for long duration. Even you can watch a full 2 hour movie without feeling irritated because it just weighs 148 grams. It has adjustable head straps which you can adjust according to your comfort level. However this headset can be used with smartphone having screen size not more than 5.5". You can watch 3D movies, play games and tour with 360 degree videos and experience the world of virtual reality. Initially designed for Lenovo Vibe K5, ANT VR headset has gained a lot of popularity since then. 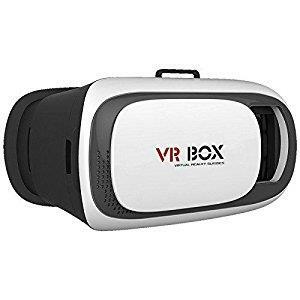 Supporting a wide range of android smartphone up to 6" screen size, it is one of the best budget VR headset which has revolutionized the market. It is quite popular for its innovative design. It can be folded easily so that you can carry it anywhere. 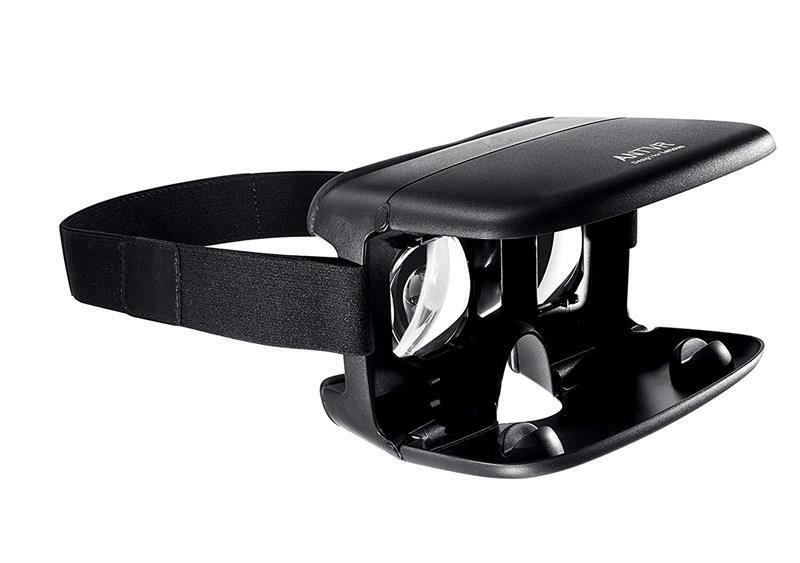 It has FOV of more than 100 degree thus provides a better immersive experience while watching videos and playing games. It has TheaterMax application specially designed for watching movies which provides you an I-Max experience in the comfort of your own home. ANT VR headset just cost around 600. So, if you are not willing to spend thousand rupees and not even want to go with entry level VR headset in the price range of below 500 then ANT VR is exactly for you. However this VR costs around 1100 but I don't want to put it in the list of more than 1000 headsets. If you are willing to spend a little more than 1000 then this headset can be a better option for you. Irusu is a Hyderabad based Indian company which produces VR headsets and is gaining popularity among users for its better and bigger quality of lenses. As I mentioned above lens is the heart and soul of a VR headset so you can be sure that you will get very good experience while watching your favorite movie in Irusu mini headset. It comes with a Bluetooth controller which supports both Android and IOS based smartphone. It can be used for smartphone having a scree size of 6". Lens can be adjusted according to your comfort level. It comes with a T-shaped head strap which is adjustable. If you wish to try out some Indian VR Headsets with crystal clear lens then go for Irusu Mini VR. These are some of the popular budget VR headsets which are best seller in their price range. If you wish to dive in the world of virtual reality go for one today which fits your budget and interest.